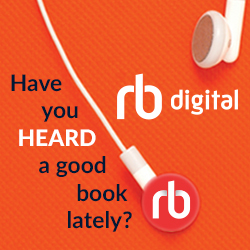 RBdigital is a subscription service that allows you to download and listen to audiobooks on a computer or device for free. Dana Hall has a small collection of audiobooks primarily focused on required reading for grades 5-12. The titles in the main collection can be used simultaneously by multiple people; the other titles can only be used by one person at a time. All titles are “checked out” for 14 days and can be renewed. The Lannan Foundation is a family foundation “dedicated to cultural freedom, diversity and creativity through projects which support exceptional contemporary artists and writers.” Their website includes 15 years of audio and video recordings (all free) from live events and interviews. You can also subscribe via iTunes and receive the latest episodes as they are released. LibriVox provides free audiobooks from the public domain (for books whose copyright protection has expired). Librivox’s goal is to make all public domain books available as free audiobooks; they currently have 6000 titles available. On the plus side, their selections include books in more than twenty languages. On the minus side, books are recorded by volunteers so the quality varies. And, of course, they don’t have many contemporary works because recent books tend not to be in the public domain.